Any pre-race rituals? : Not really just a lot of pacing up and down with a major stressed look on my face! What do you get up to when you are not racing? : Well I don’t race anymore, I love to keep busy ( I can’t stand having nothing to do) so I’m busy with working for BT Sport covering the MotoGP Championship,I manage Alex Lowes, I’ve started Mackenzie Hodgson Insurance with Niall Mackenzie so that takes up a lot of time, I teach on trackdays with focused Events. When I’m not doing that I like to spend as much time with my kids and girlfriend. If you were going to be stranded on a desert island what 3 things would you take? : Well apart from 3 victoria Secret models.... I’d say endless supply of Doom Bar Ale, 450 motorcross bike and.... bugger it I’ll take another victoria secret Model???? 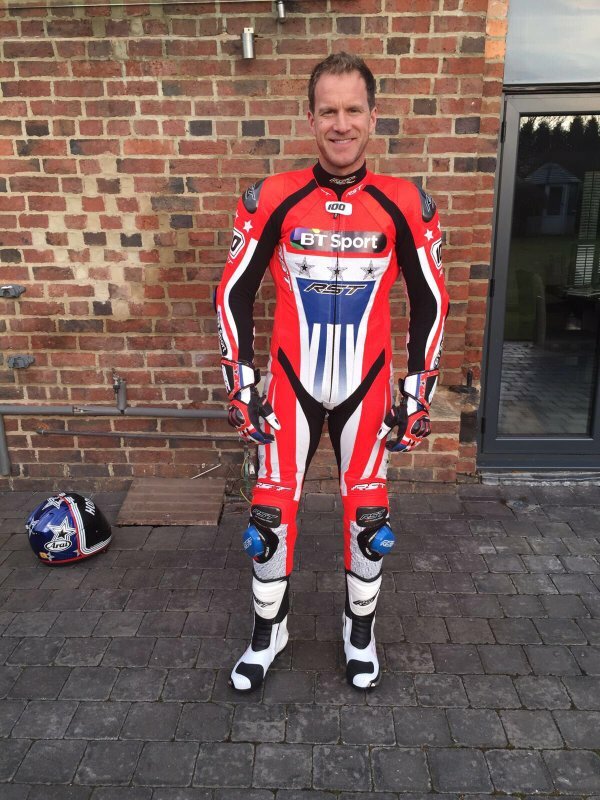 Biography: Neil Hodgson has previously won the 2000 British Superbike Championship and the 2003 Superbike World Championship after this he went on to compete in the American Superbike Championship with his highest position being 5th place now retired he is a motorcycle commentator and TV studio pundit.